Issues with the toenails are some of the most common reasons for a trip to your local podiatrist. We see everything from nail blisters to heel pain come walking (pun intended) through our doors. Here is a quick list of some of the signs and symptoms of the common ailments that we see. A toe that does not bend normally at the middle joint and points down in the shape of an upside down ‘V’ is called a hammertoe. 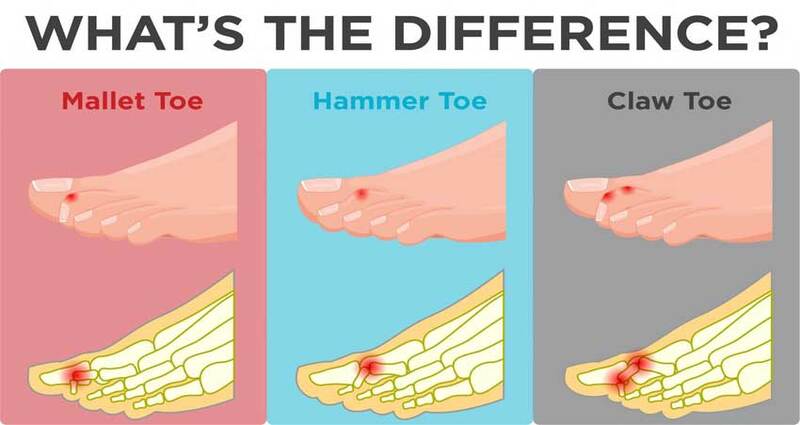 It is usually seen in the second toe. At first, the toe will keep some of its flexibility and lie flat when barefoot, only appearing as a hammertoe when wearing shoes.